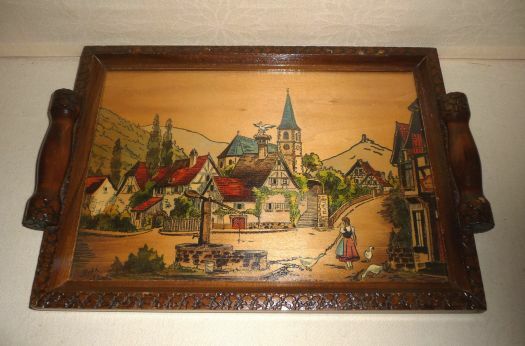 Wooden tray, pyrogravated and painted, with a nice typical landscape of Alsace. 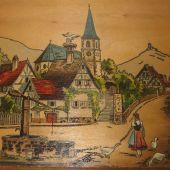 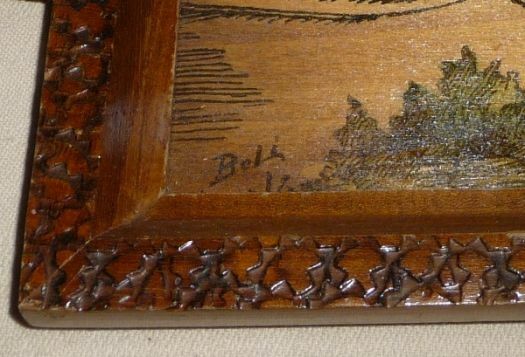 Made around 1950 by Louis Bollinger, who signed Boli, Alsatian painter. 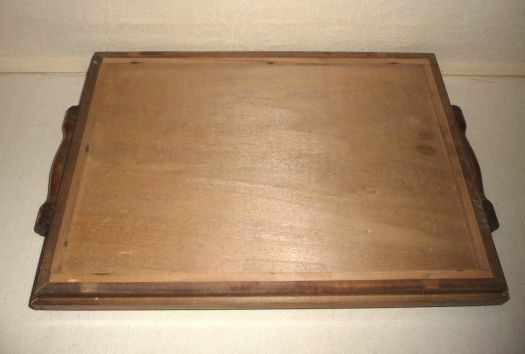 Very good condition.42 cm x 28,5 cm. 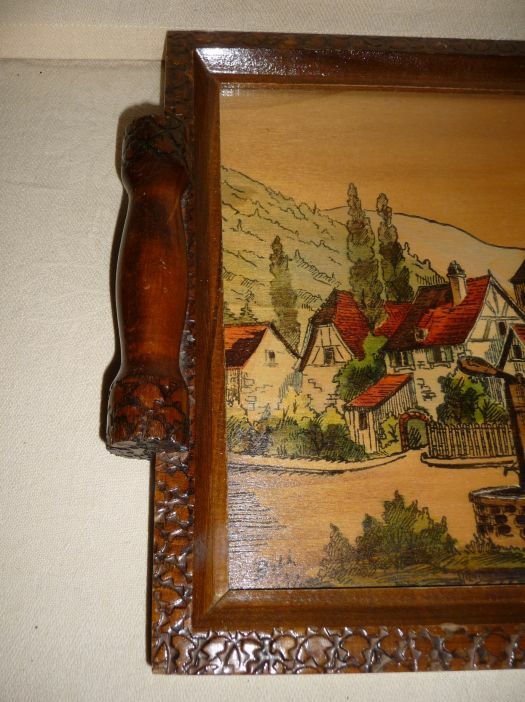 Some other pictures are available, please contact me.